Alan Wood was born in 1935 in England. He moved to Canada in 1971 and settled in BC in 1974. His interest in the dynamics of light and colour of the ocean, beach, forest and sky has dominated his work. In 1983 he gained international recognition for taking his painting directly into the landscape with his "Ranch" creation, an outdoor environmental work. 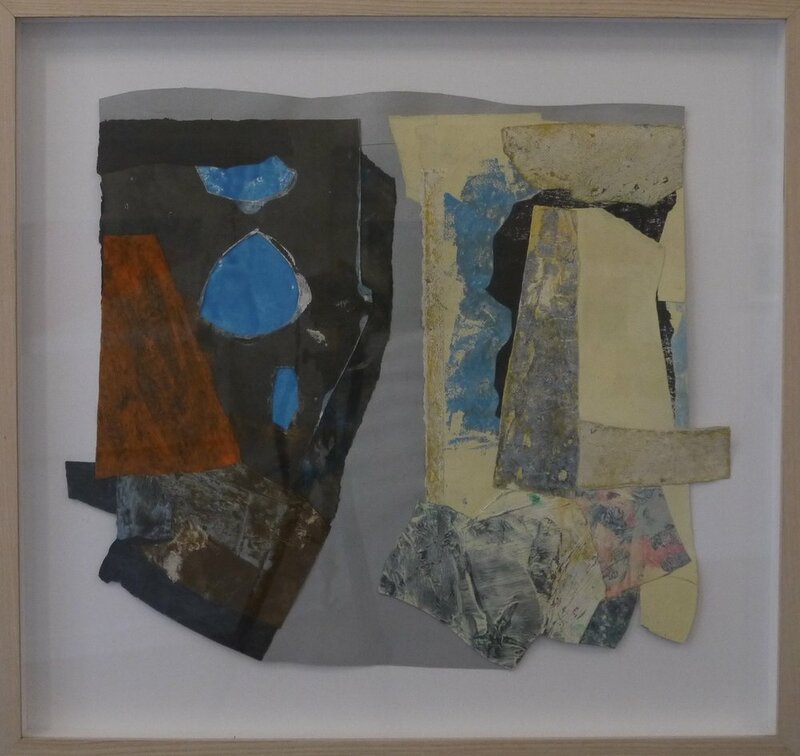 Anna Wood - Untitled Collages, 2016; print and paper mixed media; 13 3/4"x 16 3/4"